For the past few years we have been getting together as a family and hitting Hershey for some holiday fun. Just a few nights ago we spent some time at Hershey Sweet Lights and had a great time. You can find that blog post right here on my travel blog. 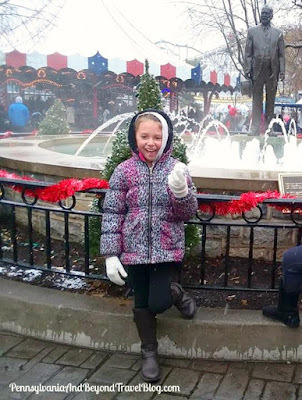 Last night we went to Hersheypark Christmas Candylane and if you live in the area or will be visiting our area this holiday season...it is a must see experience! The Christmas magic comes alive and its an activity that your entire family will enjoy! There are thousands of twinkling light displays that will definitely put you into the holiday mood. When weather is permitting you can enjoy some of the rides that they have available for a fee. The Hershey characters walk all around Christmas Candylane and will visit with you and your child. The children really love seeing them and interacting with them. You can check out the Christmas Candylane Hours of Operation to find out which days and times they are open. This is a seasonal event that is only operational from mid-November through the end of December. Admission varies depending on age and which package you want. You can find all of that information on their web site. Besides visiting to see all of the fabulous holiday light displays, I like going to Christmas Candylane to shop for unique and special holiday gifts. The gift stores are open and you can find some really special things for everyone on your holiday gift-giving list. When you are done visiting Hersheypark Christmas Candylane make sure you take the short drive over to the Hershey Sweet Lights and enjoy that too! They charge $20 to $25 per car and it is one of the best holiday light displays here in the Harrisburg and Hershey Pennsylvania area. 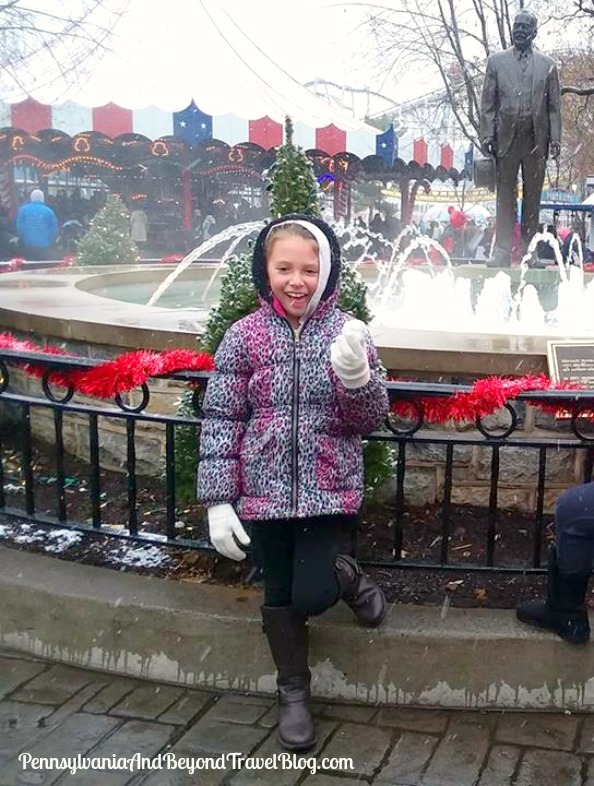 There is a lot of fun and exciting things to see and do in Hershey Chocolate Town, U.S.A. during this time of the year and this is one that we highly recommend. Happy Holidays!